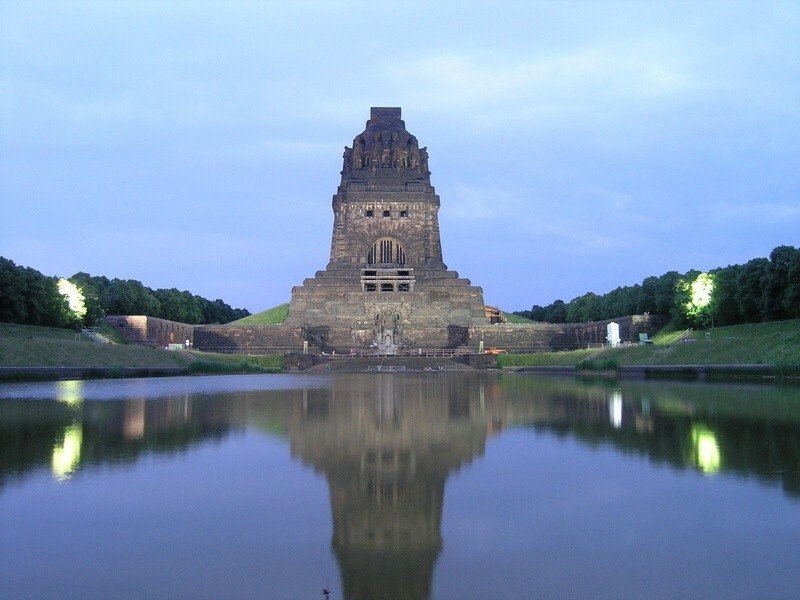 Leipzig is located in the east of Germany, in a low-lying area in the north-western part of Saxony by the rivers Elster, Pleisse and Parthe. According to the GfK marketing research institution it is the most livable city in Germany. 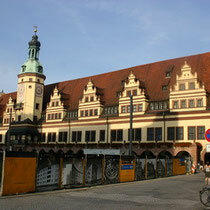 Having a history of being a trade center, at least since the time of the Holy Roman Empire when two important Medieval trade routes intersected here, the city is well-known for its trade fair and its university. 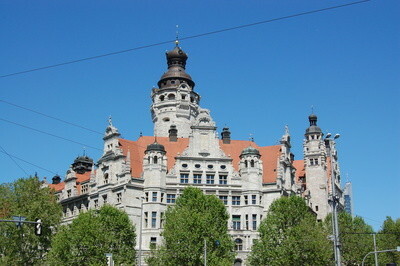 For being celebrated by the media as a hip urban center for the vital lifestyle and creative scene, Leipzig got most recently the nicknames “Hypezig” and “The new Berlin”. 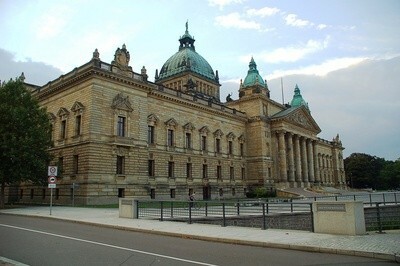 Leipzig was the starting point for the events which led to the Peaceful Revolution of 1989. One can visit the original locations of St Nicholas's Church, where after the Prayers for Peace were said, the demonstrations started along Augustusplatz and the central ring road to the headquarters of the secret police (Stasi). 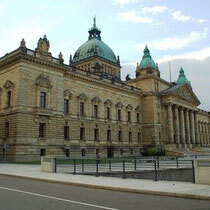 Leipzig's Old Town Hall is one of the most beautiful Renaissance town halls in Germany. 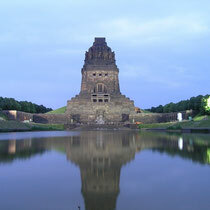 It was built between 1556 and 1557 in just nine months. As Johann Sebastian Bach lived and died in Leipzig, the city has dedicated itself to maintaining Bach's heritage with the Bach Archives, the Bach Museum, the St Thomas' Boys Choir, and the Gewandhaus Orchestra. Leipzig Zoo is one of the oldest and most varied zoos in the world, and it is one of the most popular destinations in the city. About one third of the city's territory is made up of green spaces, woodlands, parks, small gardens and allotments, and sports and recreation grounds. For nature-lovers, Leipzig, though located in an area otherwise lacking in woods, has a special treat in store. There are new shopping arcades in Städtisches Kaufhaus, Strohsack-Passage and in Petersbogen. An unusual shopping location is the Leipzig Hauptbahnhof, the main station, which is a great shopping mall. 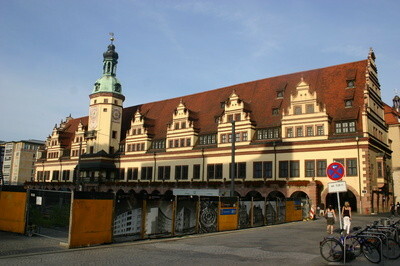 Leipzig's Fresh Foods Markets where agricultural produce from the region is sold by farmers and traders are most popular among the citizens and visitors. One of the oldest restaurants in the city is “Auerbachs Keller”. Being described in Johann Wolfgang von Goethe's play “Faust” as the first place Mephistopheles takes Faust on their travels, it became world famous. Goethe himself often visited the place while studying in Leipzig and called it his favourite wine bar. 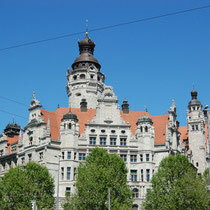 Leipzig can offer its visitors a wide range of international cuisine as well as events restaurants of almost all kinds, combining the serving of food with exhibitions, music and dance, a unique atmosphere or interior design, or live performances. Leipzig's own "theatre district" offers a symbiosis of theatres and fashionable pubs most popular among theatre-goers and the in-crowd.